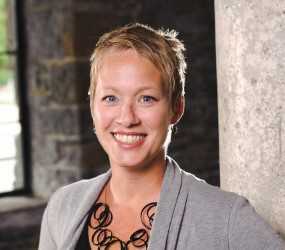 A principal with the US-based architecture firm MSR, Traci focuses on design for libraries and learning. She promotes an integrated design approach—equally valuing well-being, building performance, aesthetics, and delight. Recent building projects Traci has led include a 24/7 visual culture, arts, and media creative hub for Haverford College in Pennsylvania and Missoula Montana’s new library and culture house (opening 2020). Traci regularly contributes articles to library publications and lectures nationally and internationally. She conducted an interactive workshop about design for inclusion at the 2018 Next Library conference and presented a keynote for the 2017 Public Libraries Western Australia Biennial Conference entitled “The Generative Library: Design for Human Well-Being.” Traci is secretary of IFLA’s Library Buildings and Equipment Section, chair of the American Library Association’s Architecture for Public Libraries Committee, and a member of the American Library Association Sustainability Task Force.